Here, you rent from the owner. 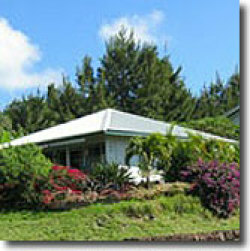 Hale KEA Cottage --and-- Hale PLUMERIA Cottage with a maximum accommodation for 3 persons each. Each cottage has 1-bedrom/1-bathroom and are located on opposite sides of same property - each with own driveways and independent of each other for individual privacy in peaceful, safe and scenic surroundings - with no public-drive-through street traffic. Our guests are families, couples, seniors, honeymooners, Hawaii "newbies" and Hawaii lovers. We're 10 minutes to swimming, shopping, theatre, hikes, vistas, restaurants, playgrounds. Guest feedback is freshly uploaded on our website - see Guests Reports to read what they think on www.AlohaCottages.net . 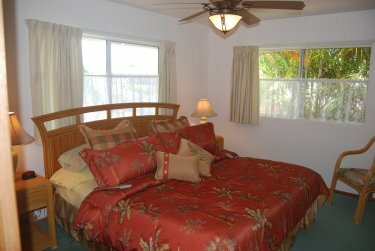 This is a real "home away from home" in charming, affordable Hawaii vacation rental cottages in warm and sunny South Kohala. The Kohala Coast is the *ultimate* Hawaii vacation destination for you and the entire family. No need to fear that your dream vacation will become a budget nightmare. For less than a third of the cost of the hotels and resorts, you can steal away to your own fully-equipped, comfortable, private Hawaii vacation rental cottage only minutes away to the beauty and adventure this island paradise has to offer including the renowned white-sand beaches, golf courses, 5-star resorts, spectacular hiking, vistas, boat tours, coral-reef snorkling, whale watching, sumptious dining, shopping, and more. 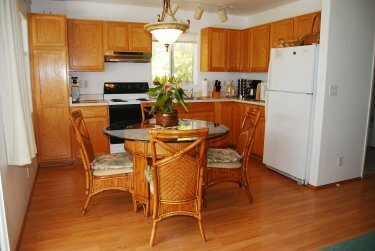 Our Big Island Hawaii vacation rentals provide the comforts of home with generous amenities including high-speed wireless Internet with a laptop supplied in each cottage (no extra cost). 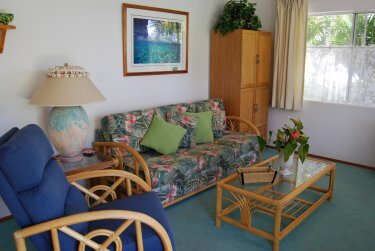 See our website www.AlohaCottages.net for full list of features and amenities. Your cottage is fully equipped and ready to move into. All you have to do is arrive, unpack and relax! We take care of the rest so you can unwind, discover, and enjoy paradise. The prices are for each cottage. Prices are for double occupancy (includes 2 people). Extra guests are $20 per person, per night.